In Soeul, Korea this week, 7-Eleven trialled a new concept convenience store which has some cutting edge technology but no staff. 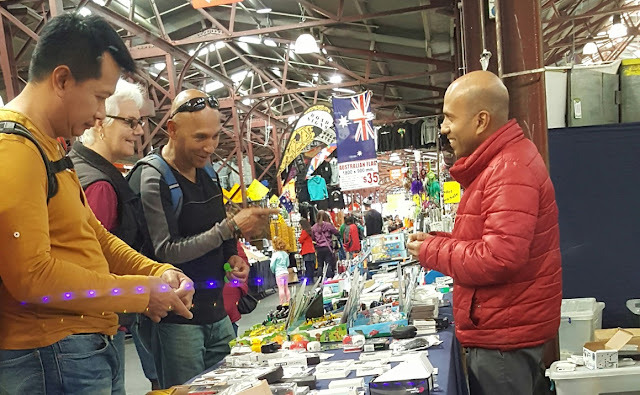 While the rest of the world goes technology crazy, Victraders thought it would be a good time to highlight the wonderful personal exchanges that can exist between Trader and Customer at The Queen Vic Market through these photos. NOTE: Each trader shown here has approved the publication of their photo. 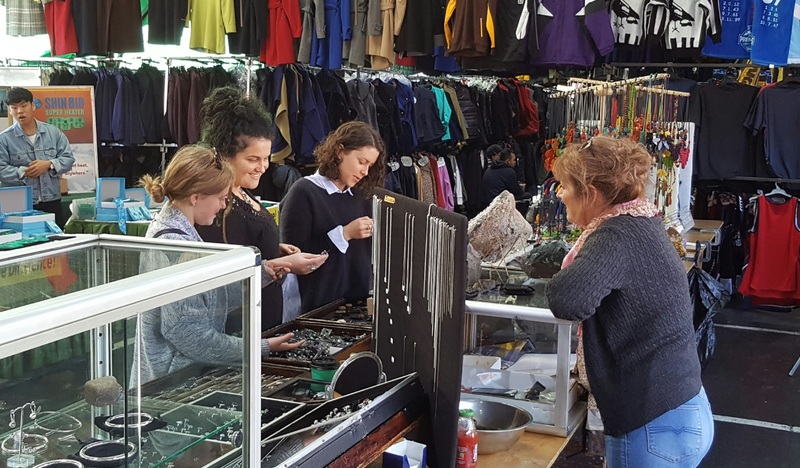 Clean Up Anger – One of traders has become increasingly concerned at the amount of dirt falling on her pristine products. Dirt accumulating on overhead girders and nearby vents is dislodged by birds or gets blown by the wind. When asking whether something could be done she was told that the sheds would soon be cleaned for the night market. Our trader is wondering why they couldn’t be cleaned for the day market. 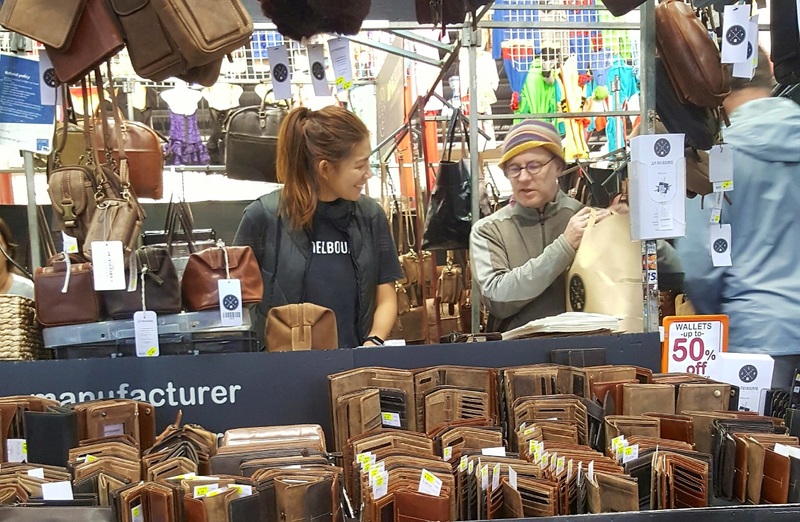 Empty Stalls – Tough times cause traders to make cost saving decisions and we couldn’t help but notice that 7 prime corner spots were vacant in the aisles J to M last Friday. Corner spots are particularly valued and we can only guess that the extra rent payable on corner stalls tips the scales in favour of staying away if business is particularly bad. Many traders commented on the poor appearance of empty stalls. 29/05/2017 11:06:33 Clean up anger "In addition the current cleaning crew have been mixing all types of rubbish into the compactor truck at once, I have seen it each day last week and on other occasions." Thanks very much for your input. 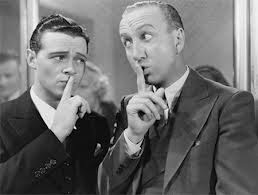 Part of your comment has not been published as it contains claims that were not substantiated. - Ed. 1. Myer says cyclone partly to blame for drop in third quarter results. 2. Coach buys Kate Spade brand. 3. Woolworth’s online sales up by 20%. 4. French sports giant, Decathlon, plans first Aussie store. 5. Investment bank says JB HiFi and Harvey Norman will be hardest hit by Amazon. 6. Telstra to restructure its retail network. 7. Macy’s reports sales decline for 9th straight quarter. 8. Oroton calls trading halt after sales slipped in April. 9. Global fashion chain, Reiss, opens first Sydney store. 10. Wesfarmers drops plans for Officework’s share market launch. 11. Australian retailers fall behind on fast & free shipping option. 13. Jamaica Blue coffee chain continues its expansion. 14. New CEOs at House of Fraser and Marks & Spencer have little relevant experience. 15. New concept convenience store by 7-Eleven has no cash, no card, and no mobile phones. Scanner reads hand vein patterns to charge for goods. 16. Target to set up new headquarters in West Melbourne. Behind an exciting new lighting concept, the next instalment of Queen Vic's Winter Night Market is bringing warmth to your wintery Wednesdays. According to a study by a leading investment adviser, digital advertising will overtake TV spend for the first time in 2017. As traditional forms of advertising wane, digital advertising, particularly social media advertising is on the rise. Global digital advertising is expected to reach US$205 billion this year while traditional television will reach US$192. 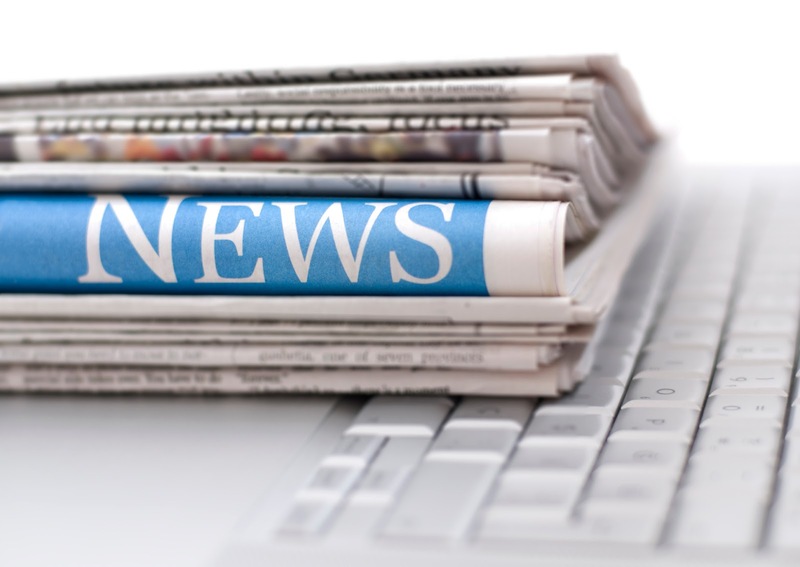 According to an article in AdNews, eMarketer predicts that digital advertising will equate to 54% of all media budgets in Australia while TV spend will hit just over one-fifth of media budgets. Social media advertising is growing strongly (up 51% in 2016) and is expected to overtake newspaper advertising by 2019. Out of home advertising (advertising that reaches the consumers while they are outside their homes like the example in our photo) and radio are expected to show growth. FOOTNOTE: Fairfax Media is reporting that Woolworth's Big W brand has halved its advertising expenditure as it battles falling sales. 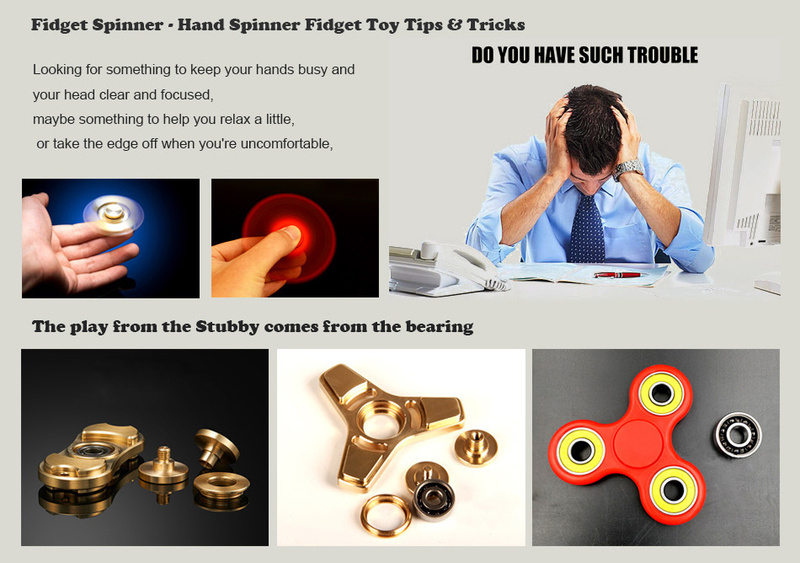 This one is inspired by the latest Fidget Spinner craze. Customer: How much are your fidget spinners? Customer: A bloke down the aisle has them for $5. Trader: Well, I suggest you go and buy off him. Trader: He’s ripping you off. When I run out mine are only $3. This article should probably come with a “Heard Under The Sheds” heading because it arises from a trader discussion in the top end during the week. A trader has suggested it is time we ended the farce of different trading hours and at the same time make our hours more related to customer shopping patterns. 1. Standard times for each trading day just make sense for customers. 2. There is a growing trend to later customer attendance. 3. Extending the hours would effectively give us 6 more hours of trading (equivalent to one more trading day) without cost. As you would expect, not everybody involved in the discussion agreed with the proposition although most of the negatives seemed to relate to trader convenience rather than customer convenience. There could be difficulties for traders. 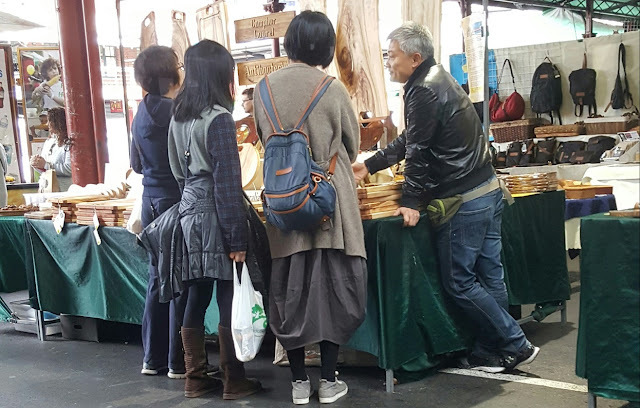 Many attend the market early in the morning to avoid traffic and appreciate the opportunity to leave early for the same reason plus they may have kid pickup duties. “I need a life as well” is a common catchcry and business and family life need to work side by side. But, debate during the current retail revolution is all about meeting customer convenience demands and many traders are suffering reduced income as consumers chase convenience. Re-arranging our schedules to fit in with customers may just be the price we pay for better business. There will be much more discussion on this issue, but as one trader pointed out, this is not something that we have to wait on renewal approval for. This something we can do right now. 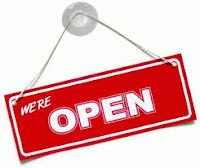 And for all traders looking for immediate action, trading hours may just be an important vehicle for change. Victraders recently received an article written by Tom Goodwin who is Executive Vice-President and Head of Innovation at Zenith USA, a marketing services component of the No.1 media network in the US. Mr Goodwin is paid to understand and explain change, and his analysis of retail change is very interesting. You can read the whole article here but what immediately struck me was an aspect that seemed particularly relevant to QVM . Goodwin says that either you create an incredibly convenient retail offer or an incredibly “delightful” one. At QVM we have an incredibly delightful offer in our food halls. 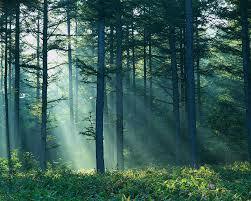 The look, the feel, the sounds, the smells, and the environment all add up to a delightful experience. It is this part of the market that people get most concerned about when we start talking change at QVM. They don’t want this to change and who can argue with them. In fact, management have made it clear that little will be changed in the food halls. The Market Renewal Strategic Brief put out in February 2015 talked about a future state for the lower market involving “a place to experience the theatrics and charm of old fashioned market trading and food retailing within one of Melbourne’s most remarkable heritage environments.” The more recent Retail Plan for QVM constantly refers to the authentic look and feel of the market and the “minor refurbishments” to take place in the food halls. What must change? Well, many think the top end of the market, the Specialty or General Merchandise area, requires the most attention and is most susceptible to the dramatic changes that technology and social changes have brought to retailing. The top end has its charming aspects but it is difficult to describe it as “incredibly delightful” nor is it particularly convenient (Goodwin’s other option). Lack of convenience is an issue for traders as well as customers with laborious packing & unpacking, and weather protection just a couple of items that traders would like to see addressed. The task of addressing those issues, plus others (trading hours, duplication, way-finding, merchandising, marketing, and so on), will be the task of management and the TRC. Most traders would like to see that happen sooner rather than later. Have Your Say – clickhere. If you have kids you will have known about fidget spinners for awhile although “awhile” in today’s digital age can be a fairly short time. As far as we know, fidget spinners arrived in the US late in 2016 although it is only in the last month or so that they have really taken off globally. It is not so long ago that when a new fad arrived retailers could count on getting in early and reaping profit rewards before the mass market got on board. By the time products were copied, manufactured, and shipped, the early adopters had made a reasonable return for their gamble but in today’s retail market that time is drastically shortened. The first wave of fidget spinners at QVM were selling at $15 and then someone came in with a $5 version which annoyed many (killing the goose that laid the golden eggs) but they ran out of stock and the price followed the old Supply/Demand rule. 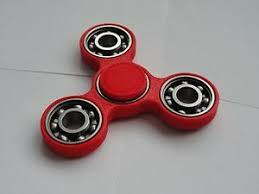 This weekend at QVM you will find a multitude of traders selling a huge variety of different fidget spinners at a huge variety of prices. 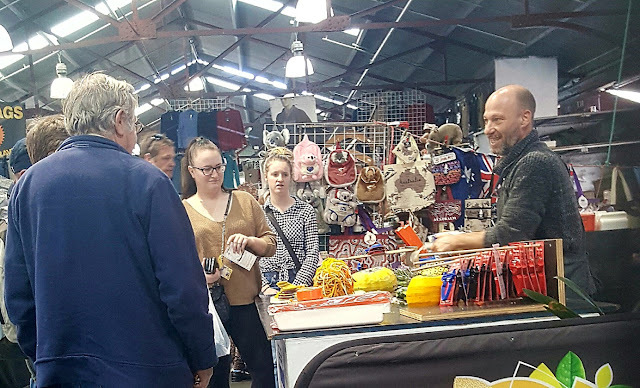 We even have one pop-up stall just selling fidget spinners – a competitive retail market at its best and shopper’s heaven. 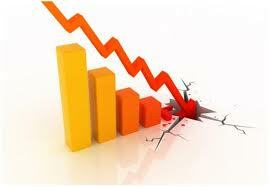 Reading the ups and downs of pricing and supply in today’s digital age will test many traders. It all sounds like a real buzz…or spinout. Its Edible, Green, and Highly Innovative. It was tempting to start off this article with reference to the “humble avocado” but for many there is nothing humble about this delicious fruit with its high level of unsaturated fats, potassium and a variety of vitamins. It is a culinary delight for many and often a fairly high price reflects its appeal. 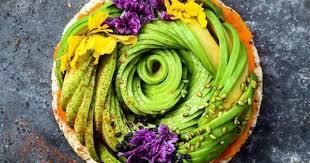 A restaurant in Amsterdam has made a feature of avocado on its menu and created a social media frenzy as pictures of their gorgeous creations circulate around the world. Here is a video. The avocado fruit is quite wonderful but for retailers the story that something old has become new again raises all sorts of possibilities for retail innovation. What is it in your range that could become a whole new thing with a little clever innovation? POD Talk – Our POD at the top of C Shed continues to draw good ideas and one of our market colleagues has suggested that he doesn’t want to see a row of pods in an aisle but a circle of PODs, properly located could create a feature for the market. Another trader has suggested a row of PODs, but at the top of the market on Peel St. Attractive PODs would help bookend the market and create an air of mystery with back walls facing Peel St. but gaps to entice entry. Those walls could be used for some of QVM’s excellent poster displays of traders and products. 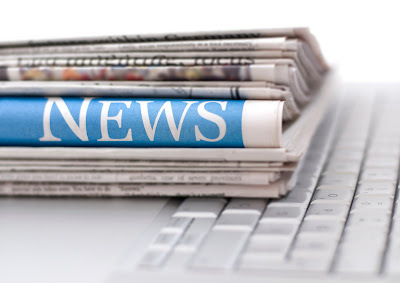 Trader Representative Committee – This week’s Trader Bulletin mentions a couple of interesting issues including a Trader Support Program and discussions on Signage & Wayfinding but the one we heard on the grapevine which has real significance involves Trading Hours. Many traders will be interested to hear how that develops. Burnt Toast? - A slightly acrid smell sometimes wafts through the top end of the market and a number of traders have been wondering what causes it. Well, the mystery appears to be solved with advice from one of our cleaning staff (they seem to know everything) that it is coffee bean roasting at Merlo's on Peel St. Merlo's do their own coffee roasting on site and certainly on Saturday the smell coincided with a batch of roasting at the premises. What do they say? "There is nothing like a market for sights, sounds and smells." We have been using “retail recession” terminology for some time on Victraders.com although the technical requirements have not yet been met in Australia. Recession requires 3 months of negative performance and we have had 3 months out of 4 but not 3 consecutive months. 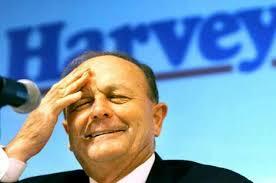 Gerry Harvey of Harvey Norman says recessionary talk is “fake news”. He says that the 0.1% fall in March hardly qualifies as recessionary and many retailers are in fact doing well. Harvey said "For everyone to talk about being on the verge of recession, it's such a stupid thing to say." Harvey Norman’s impressive glossy catalogue in this week’s Herald Sun was pushing $5,000 television sets so they are certainly talking up retail at the moment. The article was about Amazon doing one thing really, really well, and that was being a one stop shop through a website that had almost everything you could imagine. The article concluded with the suggestion that some traders might consider adding more products to their own website in order to add a measure of Amazon convenience for their customers. That was the bit that this trader didn’t like. He believes that traders are wasting their time with complex and time consuming websites. 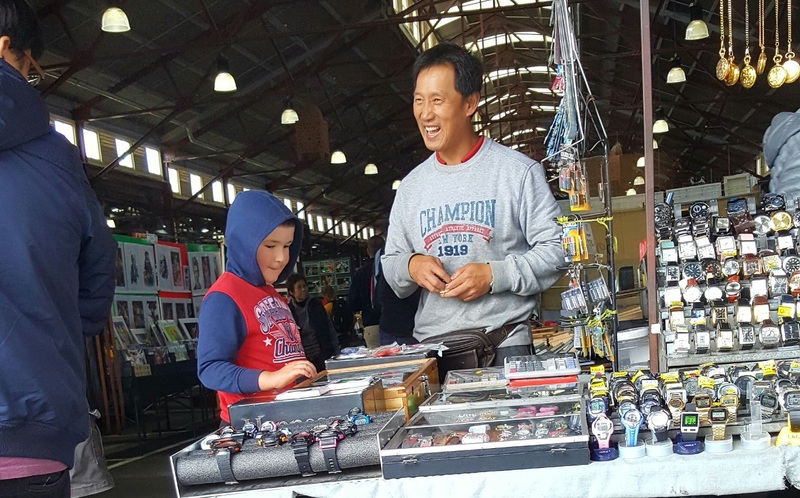 He believes we simply don’t have the time or resources to do the job properly and he asks the question “Are any traders making good money off the internet?” He says our game is capturing customers who come to visit us at the market – this is the core place for us to do business. Our trader is inspired by TJ Maxx the bold new retailer that has just opened over 20 stores in Australia selling what is called “off-price” stock. These are brand names but one-offs or end of lines that can create incredible bargains for customers. TJ Maxx pretty well ignore the internet. They rely on customers visiting their stores to find that great bargain and they put all their effort into finding on-trend fashion goods that are compelling buys. The thrill of the hunt is what they aim for and it certainly appears to be working. TJ Maxx are often seen as bucking the current trend in retail. In other words they are kicking goals while many retailers, particularly department stores are struggling. The concept is great - enthuse customers to buy while they are at the market and remove that excuse that they will check out your website later. And that is fine for traders who have access to something special, something that not everyone else can get, just like TJ Maxx being able to access “off-price” stock. Traders who manufacture their own goods or have sole rights to a product(s) qualify here. For the rest of us we may have to keep on looking for the magic unique product range or start packing our websites with more products like our original article suggested. Share market investors can be pretty cut throat. There is little room for sentiment when your financial future is involved and the traditional retail sector is certainly suffering as investors abandon the industry for greener pastures. And who can blame them? 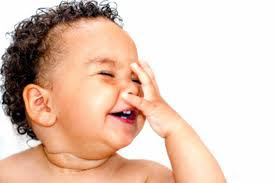 This week has seen many key US retailers reporting their latest performance and there is little joy. Nordstrom, Macy's, and J.C.Penney were all down last week, with the latter two showing more than 30% decline in their share price year to date. 1. 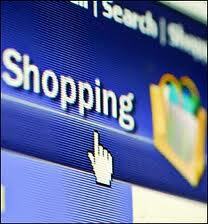 E-commerce is on the rise and the association between e-commerce and traditional retail is at best confused. 2. Mobile shopping or pre-shopping is on the rise and price becomes paramount. 3. Millennials are growing in influence but they spend less than other groups and they are distrustful of traditional forms of advertising. 4. Baby boomers heading into retirement are growing in number and retirees spend less than workers. The global population is ageing. 5. Global wage growth (spending power) has slowed. 6. Endemic decline like this could be long term. Obviously the investment sector doesn't see a big future for retail but of course they simply respond to trends, they don't determine outcomes. 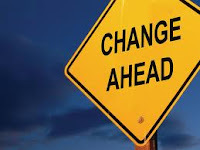 It is the job of retailers to make sense out of change and create a new way forward. Investors can thank us during the next retail bull run. 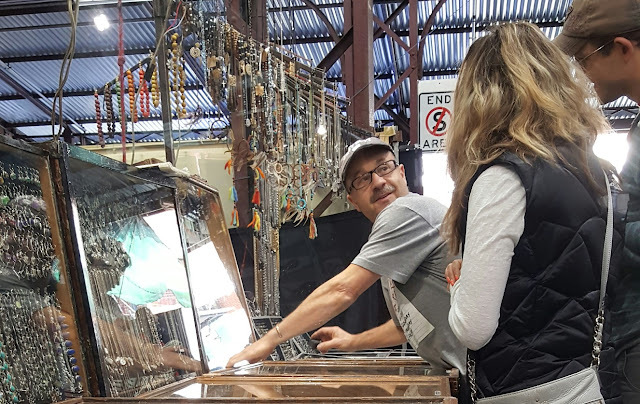 Are you thinking that your service as a Queen Victoria Market trader deserves more recognition? If you have been a trader for 10 years or more and want to celebrate your contribution to Melbourne's retail vibrancy then the City of Melbourne wants to celebrate with you. 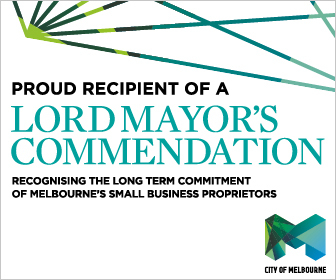 The Lord Mayor's Commendations program is a great way for traders to get recognition and at the same time enhance the reputation of our market. You simply need to make an application, smile when the photographer comes to take your picture, and attend an evening at the Melbourne Town Hall with other recipients. It is all quite seamless, and the host of past trader winners will assure you that it can be a very pleasant experience. Here is the link for all the details including the online application form. Applications close on 19th May. Online retailing giant, Amazon, is the saviour or wrecker of retailing, depending on how you look at it, and they are coming to Australia. The ripples of concern amongst Australian retailers are testament to the disruption that Amazon is causing. The new kid on the block is having immense impact but is it really doing anything different? Amazon has taken the retail world by storm and their online influence is particularly impressive. CNBC recently reported that over 65% of online retail sales growth was attributable to Amazon. And a staggering 27.4% of all retail growth (this is in the US) was Amazon’s. Amazon does a lot of things really well but the standout might be that they make themselves the first choice if you want to buy something. They have everything. And if they don’t have it in their store, they will show you somebody else who has it, and you can still buy it through Amazon. They will sell things at very small margins just so they can meet all consumer needs. You can buy computers that are shipped direct from a whole range of different suppliers. You can order fresh food that is delivered the same day (sometimes within the hour). The odds are that if you type a product or service into the Amazon search box it will come up with an option. It is the ultimate one-stop-shop. Isn’t that exactly what Macy’s, Sears Roebuck, Walmart, and in Australia, David Jones and then Myer, did? - providing the convenience of a single source in the case of early catalogues, and then department stores that put a whole range of goods under one roof. Amazon does the same thing but bigger, and it uses technology to add a modern twist with lots of convenience. 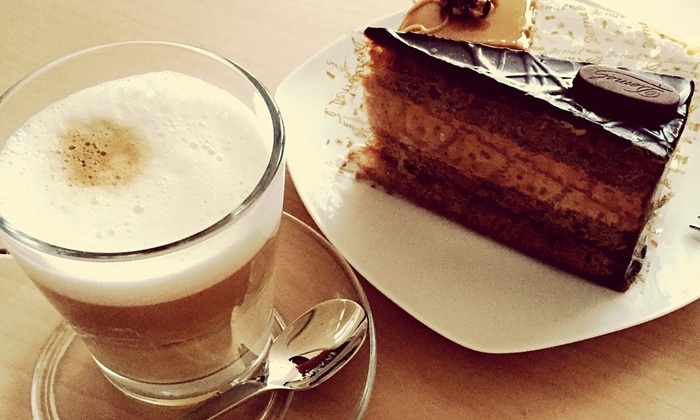 The spin off for consumers is that they expect all retailers to do similar things. How often do you get asked by a customer “Do you have a website?” And if you answer yes the next question is usually “Do you have more goods on your website?” Like it or not, customers are expecting great things from every retailer including market traders. So what is the significance of all this for QVM? We have a very broad product range at the market although there are gaps and bringing them all to customers in a convenient package is not our strength. We know we need a better customer information system. For individual traders, maybe some of us could take a leaf out of Amazon's book and offer a wider range of products online. What was that popular phrase in the TV series Star Trek – “Resistance is futile”? 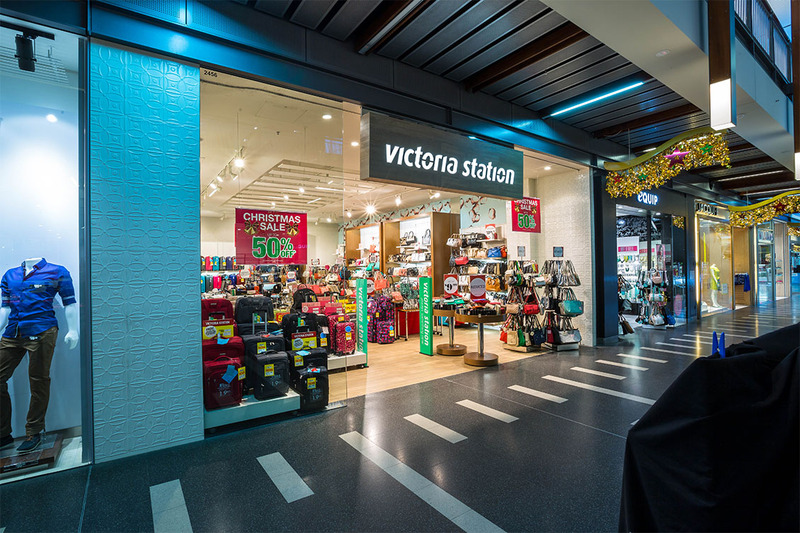 Luggage and handbag chains, Victoria Station (43 stores), and Kate Hill (21 stores), have called in administrators as their parent company Victoria Station Corporation thought it was, or will become, insolvent. Victoria Station sells well known luggage brands, manufactures its own products, and operates stores in 5 Australian states. The news follows a report out of America that so far this year more retailers have closed than for the whole of 2016. QVM Gets $29m More From City - As part of its overall investment in QVM (up to $250m) the City of Melbourne has allocated another $29m on QVM expenditure in its 2017/18 budget released last week. The budget shows a decrease in "other income" which is mainly due to lower returns from subsidiaries including rental income from QVM being re-directed towards a QVM Business Continuity Program. Books – Digital Detox boosts sales – Sales of e-books fell around 17% in UK and USA during 2016 while sales of physical books, particularly paperbacks, rose around 7%. Digital detoxing is put as one of the reasons for consumers embracing a physical book on the shelf and in the hand rather than on a screen. There is also a view that price has a lot to do with consumers choices. Many consumers don’t see why they should pay the same price for a digital book over a physical version that will hang around for years and not get lost in the next hard drive crash. 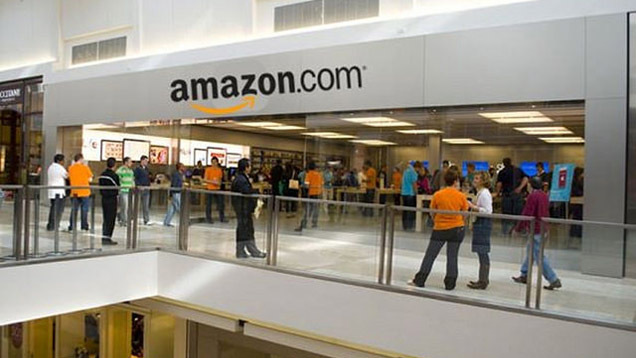 Meanwhile Amazon have announced the opening of another physical bookstore in New York. Woolworths 3rd quarter sales rose as its Australian supermarket division jumped over 5% compared with 2016. Commentators said that the rise was on the back of discounting and not much improvement was expected in profit margins. Woolworths continues to work on rebuilding its Big W brand with more losses expected in the second half of the financial year. Changing Patterns of City Worker Spending. “Off-line” retailer TK Maxx opened 6 stores in Melbourne last week, another 8 in Queensland on the weekend and 7 in key Sydney locations in the past few days. 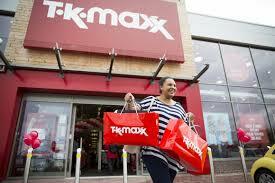 TK Maxx specialise in one off and end of line well known brands at big discounts. 1. Canadian fashion retailer, Kit & Ace, is closing its 7 Australian stores. 2. Harris Scarfe opens new store in Mackay. 3. South Korea official figures show that luxury brands continue to show losses. 4. RCG, owners of Athlete’s Foot, announce another profit downgrade. 5. Mirvac Retail gets National Heritage Trust Award for its Sydney Tramsheds re-development. 6. Apple sales dip in second quarter. 7. US sports chain, Under Armour, reports first ever loss as wholesale business impacted by bankruptcies. 8. Uniqlo and 7-Eleven combine for fast fashion launch in South Korea. 9. Super Retail Group says sales up despite reduced traffic in shopping centre stores. 10. Kathmandu lifts 3rd quarter sales. 11. Caltex says its loss of Woolworths business will be partly offset by purchase of 46 Milemaker service stations. 12. David Jones takes on Australian sleepwear manufacturer, Homebodii , after successful debut in US. "You can't see the wood for the trees" is an old saying that refers to obsession with detail at the expense of understanding the overall picture. Bezos could easily have been talking about the core customer desires for great service and cheaper prices although what is “core” may differ from business to business. We can’t ignore change but in the process of preparing for change neither can we ignore the things that remain stable. Identifying what is not going to change and then working out how you can support and enhance that core stability, might just be a good way of choosing a path for the future of your business. A trader called me a "management supporter" this week and I had to correct him. I am in fact a "trader supporter" but I happen to feel that trader's best opportunity for future success lies in a co-operative relationship with management. For me the equation is quite simple. Traders are the core of the market. We are the business individuals who provide highly desirable services to a whole range of customers. That is what makes the wheels turn. QVM provide essential services that enable those wheels keep turning efficiently, and they collect rent to finance the whole deal. We can't do without each other. QVM are the owners of the facility. 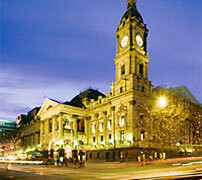 They have a responsibility to make sure that the market makes a significant contribution to the City of Melbourne. I know that there is a passionate argument that "the people own the market" but stick with me here. QVM provide facilities that enable us to conduct our businesses - essential things like display space, loading facilities, parking for customers and a range of ancillary services. In the past they haven't had to do much else, but that has all changed and we need them for a lot more these days. What's missing these days is unhindered consumer demand. "Build it and they will come" used to apply as we set up our businesses and fed off crowds of eager consumers. At times there are still crowds but the "eagerness" has certainly diminished and we need to correct that. Like retailers all around the world, we need to become more knowledgeable about our customers and their buying patterns. The complexities of the retail revolution have made sure that many more retail functions are best done by a central authority like QVM. Things like marketing, social media, customer research including basic counting, planning for city change, planning for consumer change, adjusting for new technology, are all best done by a central entity. You simply get more "bang for your buck" by coordinating all these types of functions in one place rather than spreading them across individual traders. And there is a basic philosophy inherent in all this. 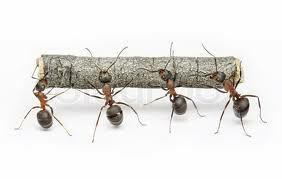 More can be gained by co-operation than by resistance. There are some within our Trader ranks who believe that hard-nosed resistance will benefit traders. It is all about demanding our rights. You may question how many rights exist in the middle of a retail recession with retailers collapsing all around us, but that is not really the point. We apply basic co-operation and respect in our relationships with customers and with each other. Extending that to management just makes a lot of sense and we have much to gain. QVM has experienced comparatively buoyant trading conditions for decades. Customers just kept coming, and by comparison with today, we had it easy. That has all changed and every retailer on earth is desperately trying to find the right mix of options to achieve retail success. In our case a co-operative relationship between traders and management seems to be the best way of maximizing the opportunities. We need to work together on this. 8/5/2017 17:13 Co-operation - ""The complexities of the retail revolution have made sure that many more retail functions are best done by a central authority like QVM. Things like marketing, social media, customer research including basic counting, planning for city change, planning for consumer change, adjusting for new technology, are all best done by a central entity. You simply get more ""bang for your buck"" by coordinating all these types of functions in one place rather than spreading them across individual traders." This is true with the exception of social media. Social Media is a form of marketing that is far more effective if traders were to promote it. It is a very rare scenario where you could have the possibility of hundreds of accounts that are linked to a similar cause. Having a central entity (qvm) invest money into sponsored posts and campaigns is very costly when you assess potential gains. In comparison to use a simple example of Instagram if we were to coordinate just 100 of our traders to use a unique hashtag that would have a far broader and much more relevant reach. It can be very hard for traders to use social media and many may argue that they don't see returns from it. Social media is not useful for generating immediate sales (although there are exceptions) but what it does generate is brand awareness and recognition. If we were to analyse Bruce Pham's video on the production of his socks, which is sitting at 21.4k views, the $ value to attain these views through paid advertising would be over $5k. You don't need to have a large following to achieve this result either - Bruce has a base of 333 followers on Facebook. What is key is interesting and unique content. We often ask as traders how we can reach a greater audience - the opportunity is there for us at small to no investment. " Thanks for the analysis - Ed.